Like the other washable hoses on the market, Tonic’s premium washable hose is made without any metal which is prone to rust and eventually cause the hose to deteriorate. 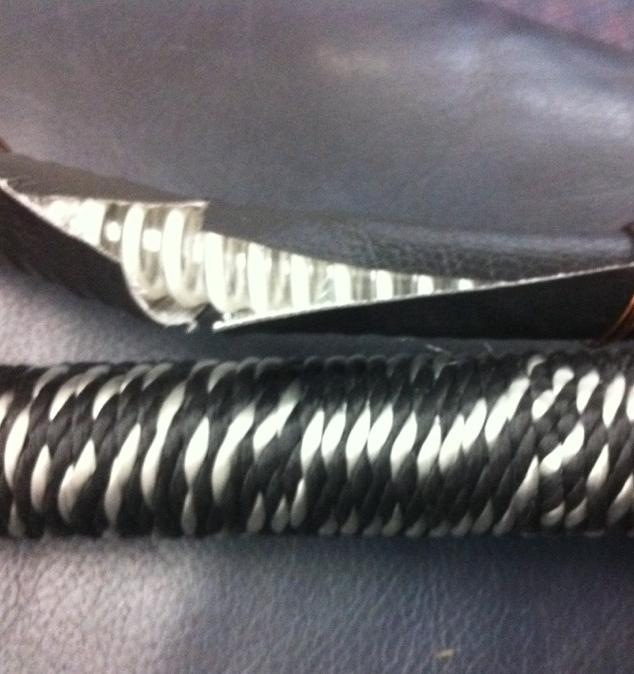 The alternative rubber materials, on the other hand, will last indefinitely. Though it will be a tad stiff until it’s been broken in. Which typically takes a few days of regular smoking. 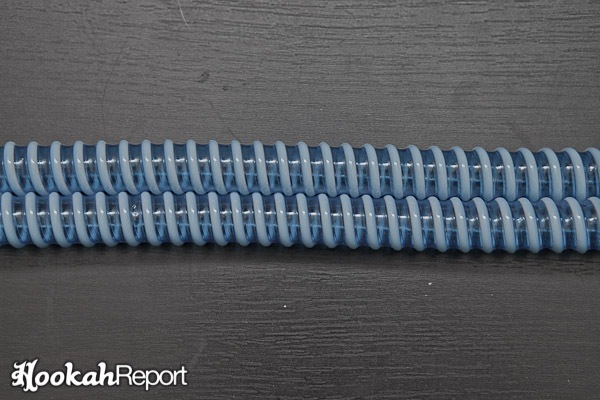 When compared to the other washable hoses on the market, Tonic’s hose performs just about identically. 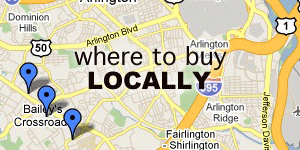 The draw is every bit as wide, though the length is a bit shorter than the other offerings at a moderate 40”. 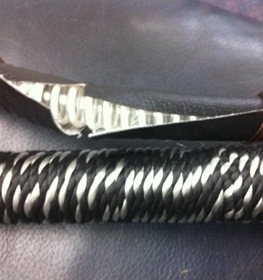 The fabric on the handle is soft and shiny, and the leather wrap seems to be a high quality. 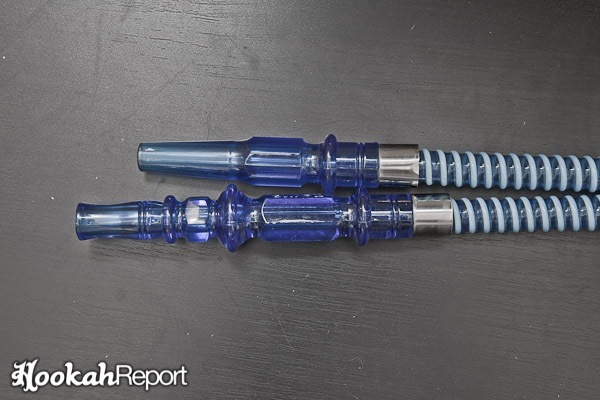 The only obvious drawback between the new Tonic hose and the other offerings on the market is that Tonic’s hose does not support a removable mouth piece. 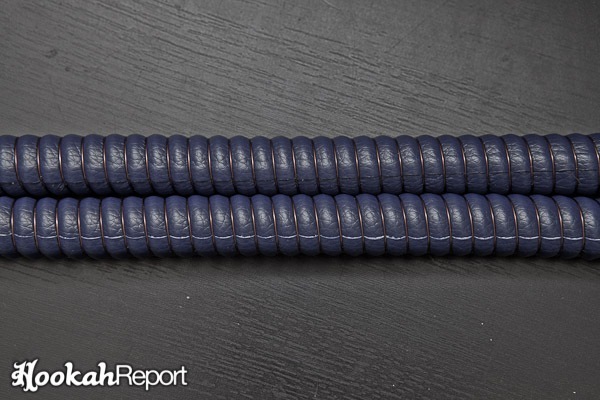 All things considered, Tonic’s Egyptian style washable hose is a winner. 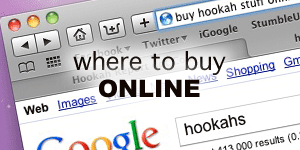 And, retailing at about $16, Tonic’s hose is cheaper than other offerings. 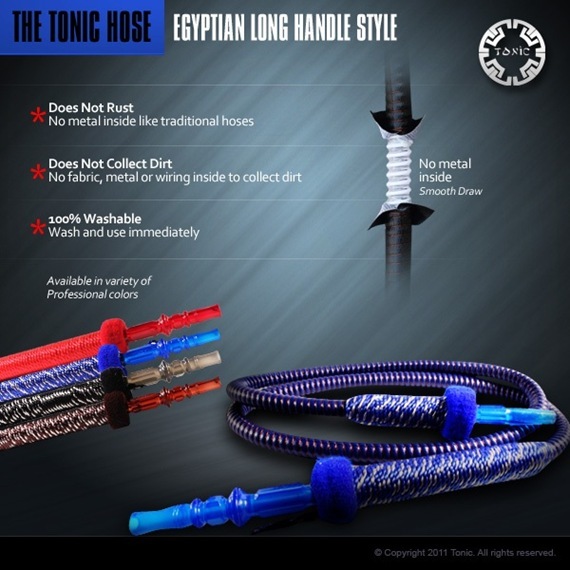 Unlike Tonic’s Egyptian style hose, the new fully washable short-handled hose is a unique product. 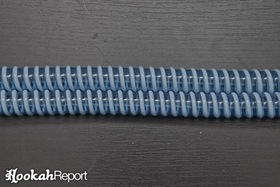 From the images, the short handle hose looks very much like many of the popular disposable hoses. 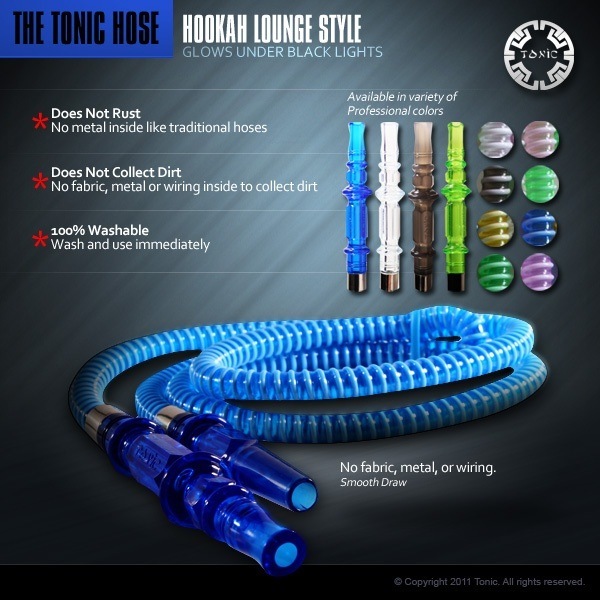 Tonic’s basic washable hose, is not a disposable hose. 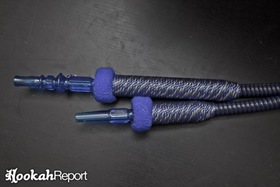 It is actually built with all of the quality and durability of the premium washable hoses on the market, but stripped down to a simple construction. The size and shape of Tonic’s basic washable hose makes is a perfect and permanent replacement for the standard Mya Hoses. 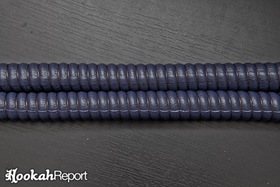 Tonic’s short-handled fully washable hose is a perfect replacement for other short handled offerings on the market, and with a price tag around $7, it’s really a no brainer. 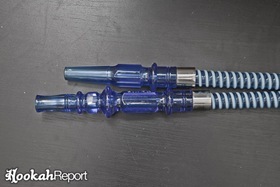 A representative from Tonic has informed me that there have already been some counterfeit Tonic hoses making their rounds. 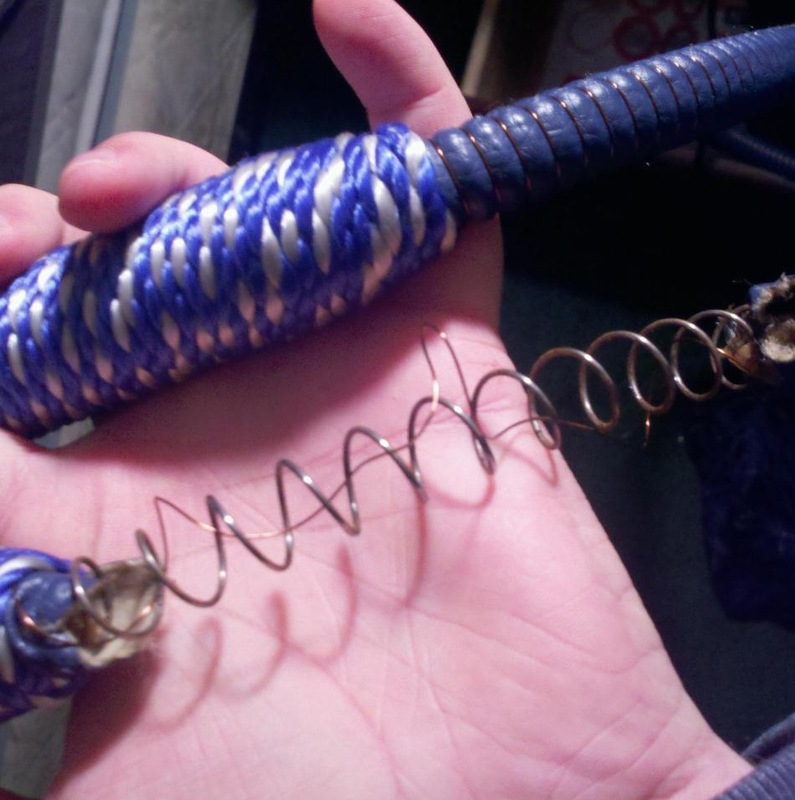 The counterfeit hoses are not truly washable. Taqseem, the company behind Tonic Washable Hoses would like to remind customers that Tonic washable hoses always feature the Tonic logo printed on the handle.